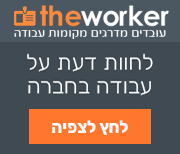 חברת Radware הינה מובילה עולמית בתחומי התקשורת, ה-Cyber ואבטחת המידע. החברה מפתחת, מייצרת ומשווקת פתרונות להבטחת הזמינות, מהירות התגובה והאבטחה של יישומים אירגוניים ורשתות. הפתרונות המתקדמים של Radware הפכו לשם דבר ברחבי העולם, והם זכו לשורה של אותות, שבחים ופרסים ברמה הבינלאומית. Radware הינה חברה ישראלית גלובאלית אשר נוסדה בשנת 1997, והונפקה בבורסת נאסד"ק בשנת 1999. לחברה מעל ל-10,000 לקוחות, כ- 1000 עובדים, ופעילות בכ-40 מדינות בעולם. We are looking for a strong security analyst to join our Emergency Response Team (ERT) in Radware’s cloud business unit. The ERT group is in charge of network and application-level security for cloud and managed customers to ensure service continuation. The ERT analyst will be part of the ERT group, providing qualitative and professional solutions for customers issues, supporting strategic projects and managing mission-critical customers applications. With the significant growth in Radware’s AppWall NG solutions business, we invite you to join Radware’s AppWall QA department for high-end enterprise WAF solutions. The Network Security C/C++ team leader will lead an R&D team, responsible for development and maintenance of a multi-gigabit security solution to prevent hackers from penetrating or taking down our customers' sites (Layers 2-7). The team is in charge of solving challenging customer problems, development of customer features and technical escalation management in short development cycles. The desired candidate should reclaim technical leadership and be able to guide team members to solve challenging customer problems, as well as solve some of them by themselves (hands-on). The candidate will be able to create designs to meet new customer features, and will be able to face calls w/ customers and high profile figures in Radware. Radware is looking for a passionate, code-loving Java expert to join its back-end development team. The Senior C/C++ Engineer will be part of a team developing complex, distributed, and sophisticated networking products. We are looking for a self-motivated person with excellent communication skills to work within a team. With the significant growth in Radware’s security solutions business, we invite you to join Radware’s DefenseFlow QA department for high-end enterprise Application Security Solutions. Our solutions protect the critical business applications of financial, technology, and e-commerce customers against DDoS attacks, Web attacks, and other emerging cyberattack vectors. The Radware Security group is seeking an experienced leader that will take part in designing and building our next generation security algorithms and new techniques to block hackers from penetrating or taking down our customers' sites and infrastructure. The Security Product Team Leader must be an exceptional individual who can lead “from scratch” development in a challenging environment. The role includes design and development across different architectures and different environments, including private and public Cloud and on premises.